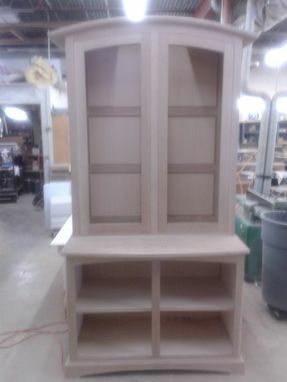 I built a pair of these for an elementary school to display memorabilia. 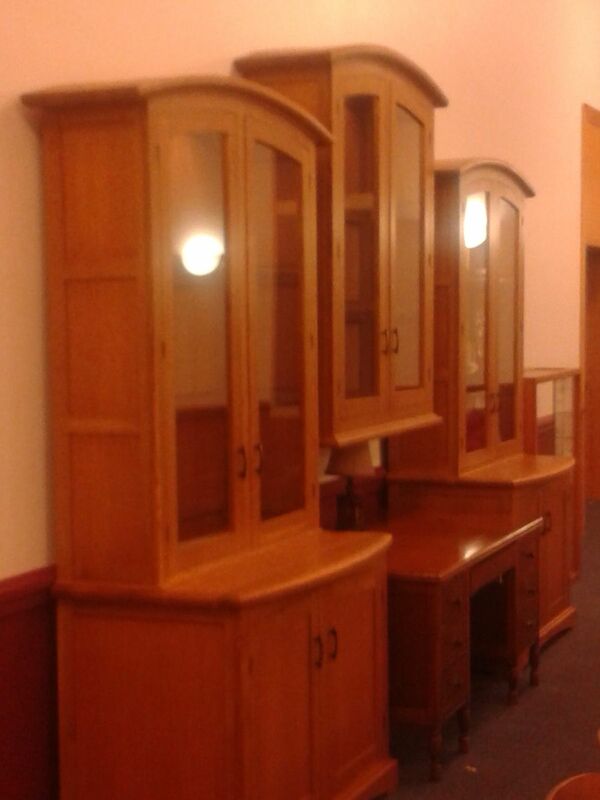 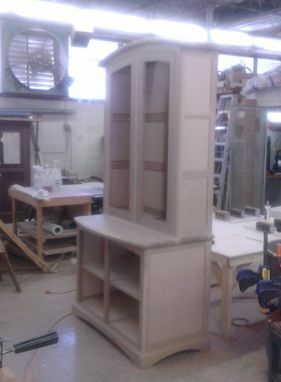 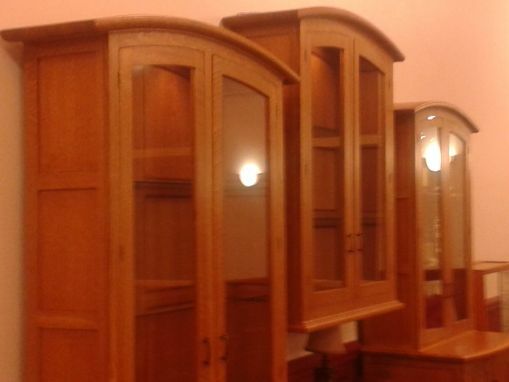 The school auditorium is 1930's vintage and there is a wide arch over the stage so I thought the arched tops on the hutch's would be appropriate since that is where they will reside for many years. 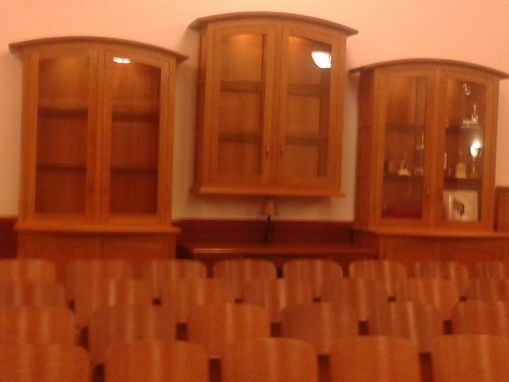 Glass shelves along with LED lighting from the top.